Whether your storage needs are long or short term, Ninja Movers has the solutions for you. Think about us if you’re considering self storage or portable containerized storage. Comfortable – Unlike many self-storage options, our warehouse storage is climate controlled. Know that your belongings won’t be subject to humidity and weather extremes, which can cause breakage, cracks and warping. Clean – Unlike self-storage options, we are solely responsible for the facility’s cleanliness and that’s a responsibility we take very seriously. We clean it daily. Our warehouse is free of pests and free of all molds. 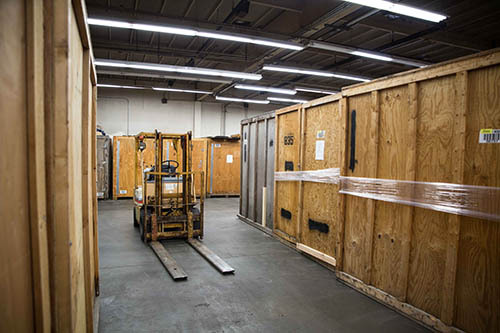 Responsible – Before your goods enter our storage, everything will be fully inventoried. It will be inventoried again when we deliver them to you. As long as they are in our possession, they will be in moving condition – in other words, moving blankets and shrink wrap will remain on your furniture. Call us at 888-646-5237 for a free storage consultation.